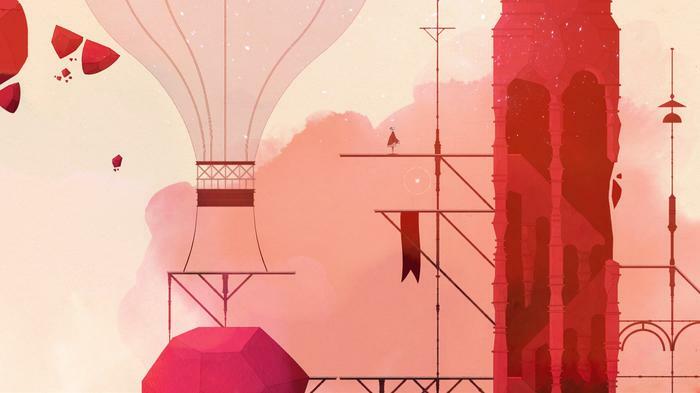 If nothing else, GRIS is gorgeous to behold. A boutique indie platformer in the same vein as something like Limbo or Braid, you control a nameless, voiceless, young girl as she elopes across a series of scrolling, watercolor landscapes - which act as a surreal metaphor for an unspecified trauma. Stripping away the aesthetics of the piece for a brief moment, GRIS a 2D side-scroller where you explore the world, solve puzzles and unlock new movement abilities. It’s all over a little too soon and sometimes feels a little too familiar to other games in the genre but it makes enough of an impression that it’s definitely going to be of interest to fans of the genre. 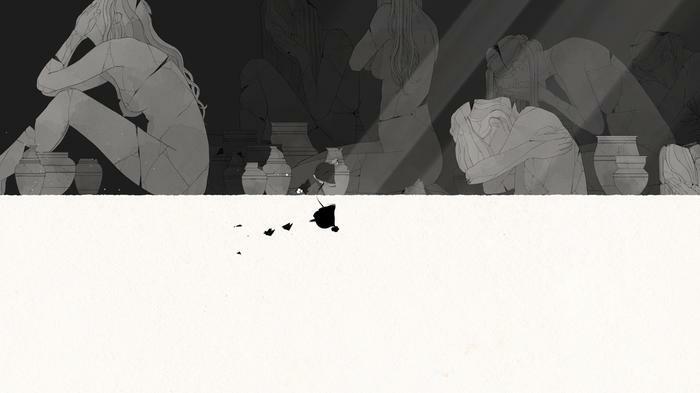 GRIS one of those games that you can probably work out whether it’ll be for you based on a single screenshot, see below. GRIS starts slow but doesn’t take long to sway you to its rhythm. When you first boot up the game, the only thing you need to worry about is basic platforming. The gameplay here primarily consists of guiding the game’s silent protagonist across a dreamlike world of ruins, dunes and forests. Successfully traversing areas and solving puzzles will earn you stars and unlock new abilities, which can then be both used to unlock new areas and progress through the game’s abstract storyline. Each section of the world you complete, adds more color to the game’s visual palette and enriches the backdrop with additional detail. As you fill out the night sky with the stars you’re collecting from level to level, the world below becomes more vibrant. 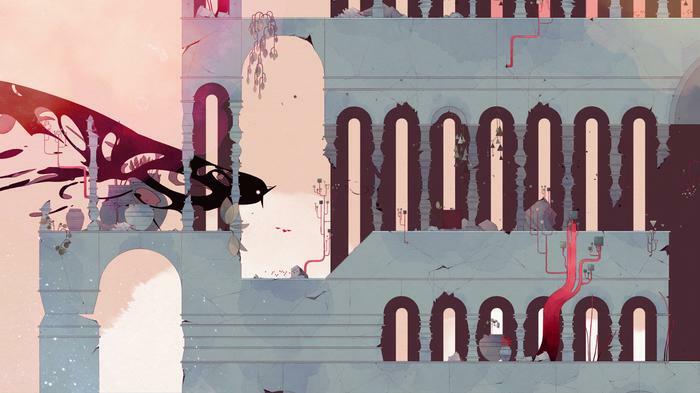 GRIS is hardly the first game to marry the visual and design elements in this way - but it’s an effective approach nevertheless. As eloquent as it is elegant, GRIS is a game with little to no fat. The controls are limited but easy to pick up. The levels are diverse enough to keep you moderately engaged but sometimes painfully-straightforward. If you've played "one of these games" before, you’ll occasionally get stuck on a puzzle but never for long. 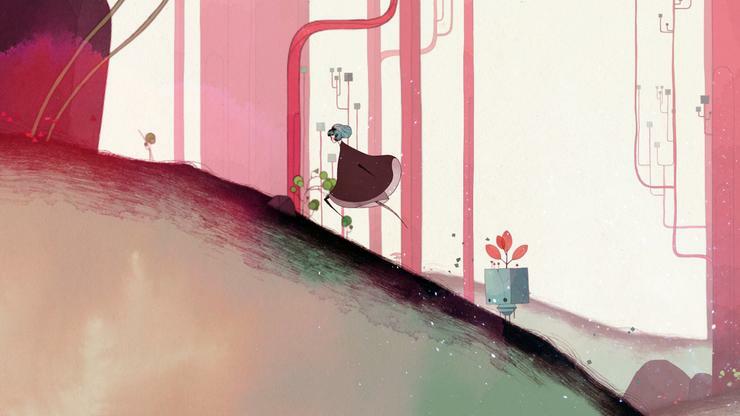 The problem - if it could be called that - is that GRIS is ultimately a very shallow experience. It spends a lot of time leaning on its aesthetics and comes up pretty shallow by the time the credits roll. There's a steady diet of mechanics that get introduced but the game never does enough with them for them to sink in and make an impression. It's all a little too simple and works to undercut much of the gravitas inspired by the game's hand-crafted visuals and the impeccable sense of tone woven together by the game's sound design. 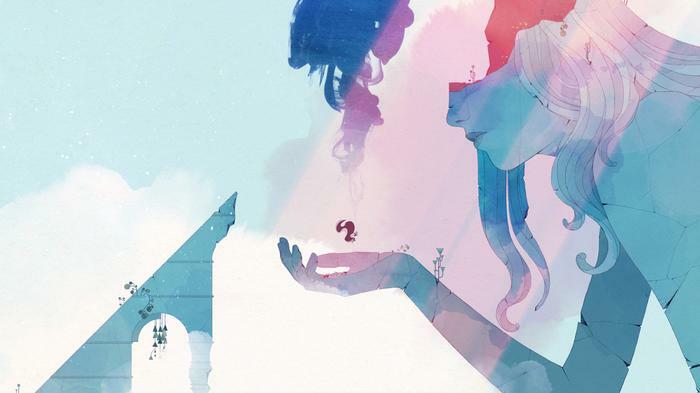 GRIS is a game that’s small in scope - and that quality works both for and against it. The art direction and is great, the level design is decent and the easy-playability of the thing made it easy to lose a handful of hours to. Unfortunately, that's all you'll probably lose to GRIS. A handful of hours. Even as far as games in this particular sub-genre of the indie world go, it’s painfully short and there’s minimal replay value. Honestly, it felt like the game was just beginning to find some sort of a stride when things came to a conclusion. This quality over quantity approach might not make GRIS a game for everyone, or at least one that everyone will appreciate. It feels like Nomada Studio are putting all their chips on the visual side of the experience. And while that's a smart bet in some ways, it's shortsighted in others. GRIS is visually-engaging but ultimately feels insubstantial and unsatisfying. It looks great - but that's kinda all there is to say about it. GRIS is available now on PC and Nintendo Switch.